Hard at work in the analog age. 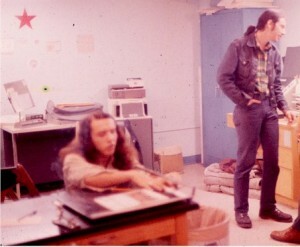 Your Editor doing paste up on the Ithaca College newspaper The Ithacan in the early 1970’s. Note the obligatory Red Star.